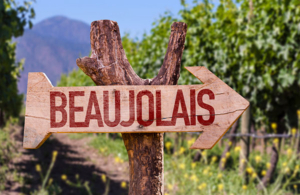 We are very happy to announce that following on from last year’s fantastic celebration dinner, we will again be hosting our Beaujolais Nouveau evening. The Beaujolais Nouveau is the first wine of the year to be made available from the region, on the third Thursday of November. To mark its release we will be serving a six course dinner of French classics and the wine itself which we are having shipped over on the day especially for us. The dinner is £60 per person, and includes the Beaujolais Nouveau 2016 served with the Bourgignon main course. There will also be plenty more of the wine available, and a French wine flight of matching glasses for each dish. This event is certain to be fully booked quickly, so reserve your table on 01925 752 068 to avoid missing out.